In 1968 Judge Roy Hofheinz (former county judge and mayor of Houston from 1952 to 1955, and owner of the Houston Astros baseball team) opened Houston's first theme park, Astroworld, as part of his Astrodomain entertainment complex just southwest of downtown Houston. The center also included the Astrodome stadium as well as the Astro Hall and Astro Arena. 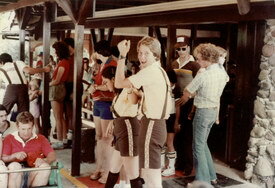 The theme park provided a wonderful entertainment venue for families to enjoy for nearly 4 decades. 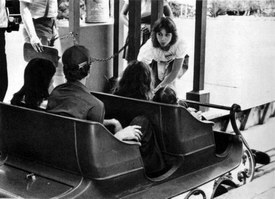 The rides that opened with the park in 1968 included some unique attractions such as the Lost World Adventure jungle boat ride (later known as the River of No Return), the double Ferris wheel-like Astrowheel, and the Rub-a-Dub nursery rhyme-themed boat ride. 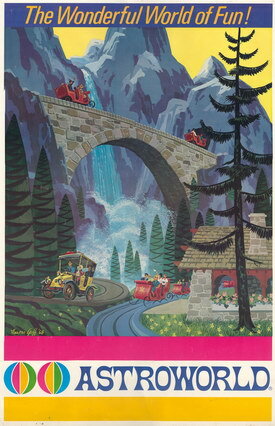 But perhaps the most beloved original ride of all was The Alpine Sleighs (also known as The Alpine Sleigh Ride). Judge Hofheinz had boasted that the Sleigh Ride would provide a welcome air-conditioned break from the balmy Houston humidity. And that it did...and so much more. To classify the ride as a dark ride might be a bit of a stretch for some dark ride purists, but the indoor/outdoor roller coaster/dark ride hybrid certainly contained "dark ride" elements. Putting the ride in any category would be quite difficult because it was so wonderfully unique. And to say that there has never been a ride like it since at any park would indeed be an understatement. The ride system was created for the park by Arrow Development and was offered in the company catalog under the name Aero Glide. The ride had elements of both a dark ride and a roller coaster. During the first part of the journey, the sleighs glided leisurely through a lush pine forest, past a towering waterfall, and into the mysterious "Der Hofheinzberg" mountain. The second half of the ride was an exciting high-speed adventure through dark tunnels and icy caverns with surprise drops and great special effects throughout. For a short time, the sleigh-riders even came face to face with the abominable snowman! 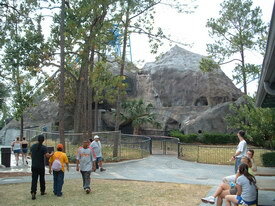 And perhaps best of all for park guests in the 100+ degree Houston summertime, the mountain was AIR CONDITIONED! Not just cool...I mean COLD! But more about that later. The 20 ride vehicles were shaped like sleighs and rode on rubber tires along a banking concrete road bed with a central rail/bus bar system to provide power. Initially, the central track rail consisted of a bus bar on each side of the steel central guide rail. The bus rails were about an inch high and an inch and a half wide. Around 1978 the track was modified when the old relay logic control system was replaced by a newer ride process controller computer. The new bus was a plastic housing which was about 2 inches wide and 3 inches high, and was mounted below and to the left side of the guide rail. The bus contained four smaller rails labeled PINO (Power, Input, Neutral, Output). On the outside of the bus were four slots. In these slots rode the brushes mounted beneath each sleigh vehicle. The sleighs contained electric motors which were powered by the track as the brushes contacted the four bus bar rails. The Power rail provided 110 Volts of AC power to the sleigh. The sleigh sent this voltage bock out the Input rail. This is how the ride computer "knew" where the sleighs were. The Neutral rail was the "other wire" of the Power supply. Finally, the Output rail "told" the sleigh's motor when to run. If there was voltage in the rail, the motor was turned on. Throughout the ride certain portions of track were powered and some were not, so this system was how the ride computer controlled the sleighs' motion in the powered sections of the ride. Originally the 20 sleighs traveled individually but in later years the ride ran with ten pairs of sleighs coupled together to increase throughput on the extremely popular attraction (these sleigh pairs were called "sets" by the ride crews). The sleighs were powered via the "hot rail" moving uphill through about the midpoint of the journey and from that point on were mostly gravity-driven. The ride system was very much like other dark rides today, but the sleighs were unique in that along the high-speed portions of the ride the track was banked and included surprisingly steep drops and diving turns. In this respect the ride was very much like a roller coaster. The ride had a sophisticated block-brake system that used fin brakes (a first for Arrow at the time). And the ride circuit contained both outdoor and indoor portions with the track weaving in and out of the main mountain "show building". The mountain facade building was quite large (for a ride at that time) with its peak nearly five stories tall. The mountain building was, for the most part, a hollow shell made of steel and textured concrete. On the lower level, the mountain extended southward and incorporated a twin tunnel for the neighboring Le Taxi antique car ride. There were two sections of outdoor track behind the mountain that had high rocky walls on either side creating the sensation that the sleighs were traveling through snowy valleys. The second of these two outdoor track sections had a long enclosed tunnel at the end which housed an exciting "blasting tunnel" effect. The main building contained a large inner show structure divided into several areas including the "Avalanche" projection room, the "Alpie" room (more about the whimsical "Alpies" later), and the "Cold Room". Also housed inside the mountain shell was the large pump that fed the 30-foot tall waterfall on the front of the mountain facade. The Alpine Sleigh Ride contained some great special effects that were probably state of the art at the time. On the way up into the mountain the sleighs passed through a tunnel called the "Echo Tunnel". Written above the tunnel entrance was painted the phrase "Echo Tunnel. Yodel something!" And just as one would expect, riders could shout something in that tunnel, the sleighs would cross the large arched bridge in front of the waterfall, and then as the sleighs passed through the next tunnel riders would hear the things they had shouted! (I recall learning some new words in that tunnel as a child.) 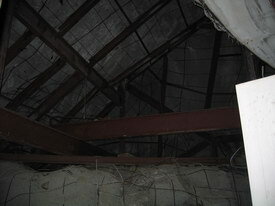 The effect was achieved using microphones hidden in the roof of the first echo tunnel. The signal from these microphones went to the park's central sound room behind the shooting gallery in another part of the park. The signal was recorded onto a modified reel-to-reel tape recorder. The tape would pass the recording head, cycle through several tape guides, and then move across the playback head�all perfectly timed so that by the time the signal was sent back across the park to speakers hidden in the ceiling of the "echo return" tunnel, riders would hear the recording played back. The "blasting tunnel" followed a surprise drop in the darkness. In this tunnel there were 10 or 12 strobe lights mounted in a spiral pattern around the track (there were even bulbs mounted on the track itself). As the sleighs careened down the tunnel, these lights would flash in a disorienting pattern designed to make riders feel as if the sleighs were tipping over. 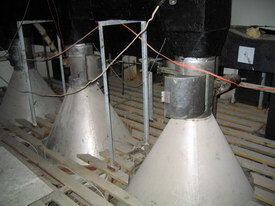 Around 1976 the strobe lights were replaced with cheaper and easier to maintain flashing flood lights. For a time there was a diorama at the end of this tunnel depicting a boarded up tunnel, barrels of blasting powder, bundles of dynamite, and a miner warning riders of the danger. Following the blasting tunnel was the avalanche effect. Early on this effect consisted of a projection of an avalanche on a domed screen on the wall of the cave which was seen as the sleighs careened up out of the large dark drop into the main show room. The avalanche projection effect was very unreliable with the projector or the film strip itself often breaking. At some point the film projector caught fire and the avalanche effect was eventually replaced by a more reliable sideways mounted disco ball which created a somewhat crude yet disorienting falling snow effect. The final room in the building was known as the "Cold Room". This room was supposedly kept cooled down to 10 degrees Fahrenheit (so it was advertised) and contained an elaborate snow machine. This system was developed for the park by Carrier, the company responsible for Astroworld's famous "outdoor air conditioning" in the park's queues, ride vehicles, and restaurants. In the Cold Room were two giant air curtains blowing down onto the track from above, one at the entrance of the room and one at the exit. There were grates in the track directly below the air curtains, and below these grates were the air return ducts which returned the still cold air back into the air handlers. The intent of these air curtains was to contain the very cold air inside the Cold Room as the sleighs passed through. On the second level of the mountain were the snow machines. 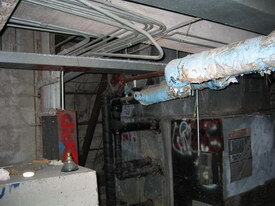 A boiler generated steam which was injected into the cold air stream above the track. The effect was supposed to produce ice crystals and thus snow falling on the sleighs as they passed through. However, the effect rarely worked correctly. (I honestly only remember that room being very cold and damp). During the recent ACE South Central region's Winterfest event at Six Flags Over Texas, my fellow ACErs and I were thrilled by the surprise keynote speaker, the pioneering roller coaster and ride designer Mr. Ron Toomer. 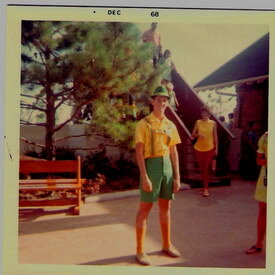 Mr. Toomer, who later became the president of Arrow Development, had just started working for the company back when Astroworld was being planned and built. 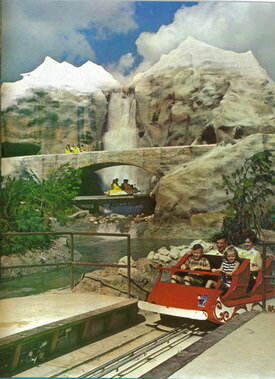 Arrow had been contracted to design several of the park's attractions including The Alpine Sleighs. Toomer recalled how difficult it was to get the park open and all the rides operating during those first few weeks of rainy Houston weather. He remembered amusement park planner and architect Randall Duell having input to the ride's initial concept. Duell's company had been hired by Judge Hofheinz to plan Astroworld. Toomer said that Arrow had never done anything like The Sleighs and that everything for the project had to be designed from scratch. As the park's opening date grew near, the ride's construction was running way behind schedule and union workers were working slowly. Toomer said he ended up machining some of the parts himself to try to finish on time. But opening day quickly approached and Toomer was elected to be the one to tell Hofheinz that The Sleighs were not going to open with the park. He said he took the news "pretty well". The ride opened about 3 weeks after the park did but was plagued with problems. Toomer told us the story about when they turned on the waterfall for the first time. He said he was standing with some of Randall Duell's men and all of a sudden red and yellow water came pouring over the waterfall. Apparently one of the workers had left open cans of paint down in the pump sump. Sharing his overall impression of the ride, the very humble Mr. Toomer stated "I always thought it was a pretty good ride". Combining input from several sources (including my own childhood memories) I was able to put together a ride-through description of The Alpine Sleigh Ride. This description relies heavily on a blueprint of the Sleigh Ride shared by former Sleighs crew supervisor Roy Turner. 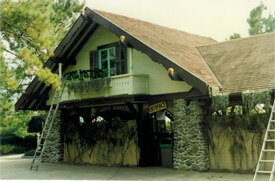 The Alpine Sleigh Ride was the main attraction in the park's Alpine Valley area and the ride queue building was made to look like a Swiss Chalet. The wood and stone structure was air conditioned and had standard queue switchbacks. The sleighs rolled in on the back side of the building. 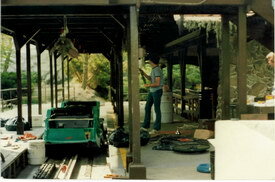 Early photos of the ride show that this load/unload portion of the track was open to the elements. At some point the station track was covered by a decorative wooden porch because the sleighs did not operate well in rain. The riders stepped out of the queue onto the load platform and boarded a sleigh. Each sleigh held four people relatively comfortably more if you could fit. (I recall sittin g 3 to a seat once, but it was a tight squeeze.) The sleighs glided fairly silently out of the station and around a wide 180 degree right hand turn. Moving uphill now, the sleighs traveled into thick shrubbery and pine trees zigzagging up through the "forest". Then they moved around a wider right turn and a left turn before coming out of the trees. The mountain towered up ahead and the sleighs turned right and traveled across the ride's "low bridge" beneath the arch of the stone "high bridge". Here the sleighs passed so close to the waterfall on the left side that riders were frequently splashed by the cascading water. The sleighs entered a rocky tunnel making their first pass through the mountain. Still moving uphill the sleighs popped out the back of the mountain into the first of two outdoor rocky-walled portions of track. There was a gentle dip in this track section as the sleighs made two left turns before reentering the mountain. This next tunnel was the first "Echo Tunnel". Writing on the tunnel walls prompted riders to "say something". The sleighs turned left in the tunnel and emerged out onto the high bridge past the waterfall. Just before the end of the bridge was the highest point of the track and the point at which the powered part of the ride ended and gravity took over. The sleighs picked up speed at the end of the bridge and rolled quickly through the echo return tunnel as riders heard the playback of whatever they yelled in the first echo tunnel. Immediately after this tunnel was the first big drop. The track dipped and banked to the left around a 180 degree horseshoe turn in the second outdoor rocky-walled track section. Following a slight turn to the right the sleighs dropped down a surprise dip into a pitch dark tunnel. This tunnel was the blasting tunnel. A spiral of bright lights around the track flashed in a disorienting pattern and the sleighs careened toward a diorama of a miner in front of a boarded up tunnel. The sleighs made a sharply banked left turn and traveled up a steep left turn climb. This uphill climb was powered and the sleighs quickly decelerated at the top. This climbing left turn was where the avalanche was projected on the right side. After the avalanche effect was removed the horizontally spinning disco ball used in its place created a disorienting falling snow-like effect. This effect always reminded me of a rotating barrel because at the top of the climb my head would spin a bit and it always felt like the track was tilting to one side as the sleighs slowed down. 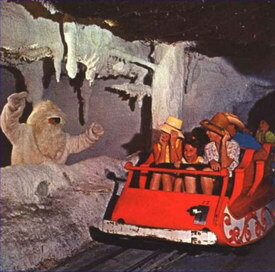 During the first years of the ride the sleighs would slow down in the next room and the abominable snowman would jump up on the right side and startle the riders. In later years this room was inhabited by the gnome-like "Alpies". 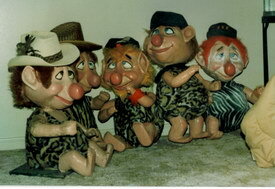 The Alpies were dressed like little cavemen in striped and spotted animal skins. Some were around a campfire and one was making cave paintings. I recall jewels and gold as well, as if they were mining. The room was very cold and whimsical music played as the sleighs moved through. It was my favorite part of the ride. After this room it got VERY cold as the sleighs moved under the snow machines. When the effect was working properly little sleet-like ice chips would fall on the riders. Just after the Cold Room the sleighs made a 90 degree turn to the right and dropped down a very deep dip into the daylight and then immediately up into the station. A short section of track was powered at the top of this climb. This final drop was always the one that scared me as a child you really felt a pop of airtime down the dip. Then with giggles and wobbly legs riders disembarked the sleighs and climbed a stairway up and over the track back out onto the main path beside the queue building. 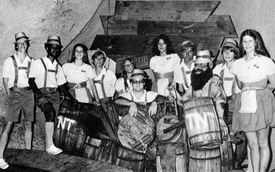 In preparation for this article I interviewed 3 former Sleighs crew members from the ride's years in the 60s, 70s and 80s. Tom Shelton was crew foreman and worked the ride during its first two years of operation in 1968 and 1969. Roy Turner worked as lead foreman on the ride in 1977 and was ride supervisor after that for a while. And Larry Harvey worked as foreman in late summer and fall of 1982 and the ride's last season in 1983. Tom is now a data analyst and he still lives in Houston. Roy is a software engineer for an animation studio, and he and his wife Romie (with whom he worked on the Sleigh Ride) live in Los Angeles. And Larry is an electrical engineer living in the Houston area with his family. Tom recalls helping the engineers get the ride tweaked before it opened to the public 3 weeks late. "The Alpine Sleigh Ride construction was not completed by opening day. During the first three weeks of park operations, we assisted the engineers in testing the new ride. We were instructed to tie a rope around one of the sleighs. After taking the sleigh to the entrance of the strobe tunnel, we would slowly lower the sleigh down into the opening. The engineer would lie on the track in front of the sleigh to visually inspect the relay switch to see if proper contact was being made. This was very dangerous. Our Austrian Klagenfurt shoes were not designed for descending into concrete caves while restraining alpine sleighs. "After three weeks of testing, the Sleigh Ride finally opened to the public. The first day was a disaster. The weight was not distributed evenly in the sleighs. They were bouncing over the relay switches. This resulted in all of the emergency brakes closing, thus shutting down the ride. It took a considerable amount of time to release each sleigh from its brake and restart the ride. I felt very sorry for the people that waited in line the first few weeks. We timed the wait on one Saturday evening. It took 2 hours and 53 minutes to go through the line. Occasionally this line would snake half way around the park." Tom had the privilege of getting to wear the abominable snowman costume. He recalls some great stories of his crew taking turns being the snowman. "Each of the ride operators took turns playing the snowman. We would usually stand anywhere in the Cold Room between the avalanche scene and the end of the snow machine. The snowman suit was very heavy. The head piece hung down over the body of the snowman suit. One thing that we dare not do was fall down. You could not get up without assistance. [My crew member Bill] was playing the snowman for the first time. I was standing in the Cold Room watching his performance to make sure that Bill was okay with the process. I noticed that he was getting too close to the people in the sleighs. Bill was trying to scare every person that came through the Cold Room. He became very aggressive with his acting. He would jump on the sleigh as it passed by while screaming loudly. One of the young passengers was frightened so badly that he grabbed the front of the head piece of the snowman suit as Bill jumped down from the sleigh. This resulted in Bill being dragged down the track while the young passenger firmly held his grip. I managed to pull Bill from the track just as the next sleigh was passing. It is amazing how fear affects different people. We were scared to death. However, we sat there and died laughing about the incident for the next five minutes. "The snowman had one advantage. The riders could not see very well when the sleigh came up out of the strobe tunnel. The snowman could not be spotted easily at first. We started hiding and then running and jumping on the sleigh, scaring many people. In many cases, all they could see was some big hairy thing jumping on the sleigh and hovering over them. You could hear the people laughing and shouting about the experience all the way down the track. The snowman suit had big hairy gloves. We would hide just out of view of the people. As the sleigh came by, we would stick the hairy glove just far enough out to touch a person's neck. This really produced some great stories. As one sleigh went by, a lady stated Oh, something touched my neck.' She brought her shoulder up and flinched. This pulled the hairy glove off of my hand. The lady screamed horribly as the sleigh went down the track with the hairy hand lodged between her shoulders and face. This was a classic! "We were instructed to be �friendly abominable snowmen'. That lasted about a week. You could usually scare most people one time. After that, the younger passengers wanted a piece of the snowman. You name it, they threw it at the snowman. They would tear off pine tree limbs to attack the snowman. Every type of food product would end up on the snowman suit. We confiscated syringes filled with vodka to stick' the snowman. The suit had to be dry-cleaned every night. This cost was $700 per day. We started equating playing the abominable snowman' to a tour of duty on the Russian front." Once the ride opened to the public it remained plagued with problems. Tom tells about a couple of scary incidents. "The Sleigh Ride had brakes installed throughout the system. If a sleigh stopped for any reason, the brake system would close and stop the next sleigh. This only worked if the brake was dry. If it rained, the sleigh would slide right through the brake. "One day as I was playing the snowman, a sleigh came up out of the strobe tunnel and blew a fuse at the avalanche scene. The sleigh contained a lady and her two children. She kept looking back to see if the next sleigh was coming. I stepped out and starting assuring her that the brake system would catch the next sleigh at the top of the strobe tunnel and that there was nothing to worry about. Just as soon as the look of relief came to her eyes, I heard the strobe tunnel sound signaling a sleigh coming. It was raining outside and the next sleigh went right through the brake. The Ackerman air conditioning man just pulled me out of the way before the next sleigh slammed into the sleigh with the lady and her two children. Fortunately, no one was hurt in this incident. "Anyone familiar with the sleigh ride knows there is a dip when you come out of the mountain just before entering the station. It started raining one day. I'll bet it hadn't rained 10 minutes when we looked at the mountain and saw that the dip had filled up with water. The next sleigh came right out of the mountain and plunged into the 5 foot deep water. We scrambled to get the occupants of the submerged sleigh to safety." 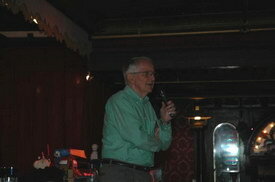 Larry tells about that last season the ride was open during the fall of 1983. "During the month of October of that year, we were given the go ahead to create a divisional Halloween' area and the rides folks decided to convert Alpine Sleighs to Alpine Slays. "We decorated the mountain with all sorts of typical stuff and, as I recall, we even went over the line with a few items. We had Spanish moss on everything, red lamp dip on the station lights, dry ice in the mountain and much more. Since it was to be the last of the mountain, we wasted no time in debating about cutting holes in the outer shell where needed. We even built a large cross, painted it black and hung it over the entrance to the first tunnel after the low bridge." I asked Tom, Roy and Larry a series of questions about their experiences working on the Sleighs crews. DR: What was your typical day on the job like? How did you "open" the ride each day? Were there any special things that had to be done at the end of the day? Tom: "We started the day by turning on all control switches. We then walked the track to make sure it was clear. Not much to opening. Closing the ride was simple also. Nothing really to tell." Roy: "Well we had the normal duties like any ride crew did: sweeping the station and queue house and other general clean up duties. We'd send a couple of crew members out with the cooler to get ice and water. "Depending on the need we'd get someone to sweep the track. The area from the station to the high bridge had a tendency to collect pine needles and leaves. We'd also walk the track and see if there was anything else which needed cleaning. It wasn't too uncommon to find that someone had lost a stuffed animal and that it had become torn and scattered the Styrofoam bead stuffing that the cheap plush prizes were filled with. 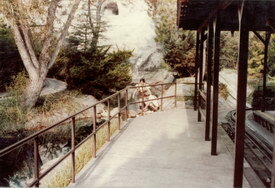 One clean up job which most rides did not have was the maintenance of the waterfall and lagoon. The intake for the waterfall pump was located in the big 'rock' located between the track and lagoon just after the sleighs made the 180 turn out of the station and headed towards the mountain. There was a grate covering the intake to prevent leaves and other trash from being sucked up into the pump. This often got clogged up with leaves. We'd have to go in there and scoop these leaves off the grate (they were held there by the suction from the pump). We often had to do this on an almost hourly basis in the fall. This was the point at which we would also add the blue dye to the water if it needed it (the dye had an algaecide which also helped prevent algae from growing in the water). We kept a gallon jug of the dye in the rock, but a little bit went a long way. A half an ounce to an ounce were all that you needed. We'd also wipe down the sleigh bodies and seats. "Then we'd check with the ride mechanic to see how many sets we had available for operation. Based on what the projected attendance was and what level of crew staffing we might add or remove sets. "Finally it was time to do the ride safety check and get the ride running. First we'd get the ride operating normally. Since the station was not large enough to hold all the units, sets were normally stopped outside the station dispatch brake. Since this part of the ride was powered, the units were just dispatched and then turned off (via a switch on the back of the sleigh) the night before. To start the ride up we'd turn the ride on, the control system came up with all the blocks off. So we'd have to have someone walk the track backwards clearing each block. The blocks were cleared by a key switch next to each brake or block zone. Once this person was back in the station the ride was ready to run sets. We'd start the first one by turning the sleigh switch on. Count twenty seconds or so and then turn the next one on. Once all the sets outside the station had been turned on we would start moving the sets in the station via the normal ride controls on the drive panel. After three minutes or so we'd have all the sets running along the course. We'd let them run for several minutes, usually with a few operators riding in one to check out that all the triggered effects were working (echo tunnel, blast sound effect and lights, and Alpie music). "Then we'd do a standard cascade stop safety check. We'd stop dispatching. The next set should come in and stop on the load brake. The next one should stop on the ready brake and so on. Since there were more blocks on the ride than ride units, once all the units were stopped we'd dispatch the set. It would continue and stop at the block before the last stopped set. We'd continue this process until we'd tested that all blocks would stop the sets as they should. "By this time, we usually had 15 minutes or so until opening. We'd do some of the paperwork type things (set up for employee breaks, get the turnstile set up for taking count, and so on). Then 10 minutes or so before opening we'd restart the ride by clearing the blocks and restarting the sets. We'd leave it running for about 5 minutes so that it would be well worked in by opening time." Larry: "I have to say that choosing a �typical' day is difficult at best. I'll go through the standard operating procedures but please understand that most every day, there was something to pull you off course. "As foreman, you always wanted to be the first to show up on the ride and begin getting your day in order. 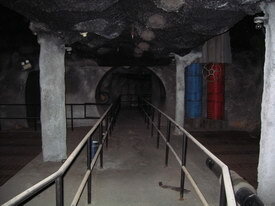 Since it was located between the back areas and the station, you would naturally walk up to the mountain from behind and make your way through it when you came in during the morning. The back side of the mountain had door access to the electrical room within the mountain and I would enter there. 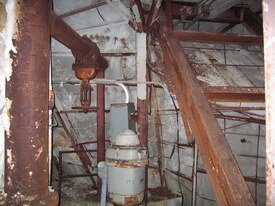 This is where the Main Control Center was located which housed the breakers for the larger electrical loads. These circuits would remain on but, if maintenance were doing something to the ride, you would know because you would see the breaker in the off position. "This room also housed several smaller power panels and here is where you would flip on the 120 Volt circuits such as the Blast lights, the Alpie lighting, the flood lights in the tunnels and the like. The music was controlled in the sound room and so it would come on at or near opening. "I always recall how musty the mountain smelled in the voids around the tunnels and such. This made the air seem to be extra fresh when you emerged on the other side. It was nice. "When I worked there, the snow machine had long since been abandoned as an operational unit but the room was simply known as the Cold Room. The doors that were once used to chill the room were locked open so no action was required in that area. You would indeed need to turn on the air handling units but that was about it. Not all of the breakers were located in the same area so you would traverse the mountain flipping on all the loads that required attention except for the water pumps that ran the waterfall. That you saved until just before opening. This would allow the crew to skim the lagoon and remove the pine needles that would fill the top of the water. "Crew duties did include skimming the water, clearing the grate which was in front of the water return and sweeping the track. Someone would walk the track to make sure there was nothing which would interfere with the operation of the ride. "In the morning, the sets would be parked along the station, the U' turn and through the track up to about the first bridge or as it was called, the low bridge'. No sets were left inside the mountain overnight. The back side of the set had an on/off switch at about the height of the bumper. 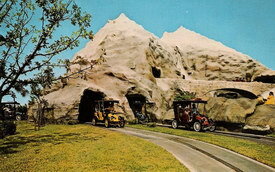 An operator would be instructed to turn on the set and with the ride energized; the first set would dispatch itself and begin its travels through the mountain. "When it cleared the first brake after the first tunnel, the operator would switch on the second set and so on and so on. About the time the first set would reach the station, you would have but one set remaining and thus, the cycle began. This would all occur during the last 10 minutes before the park opened because you would want to keep the sets going nonstop and there was little desire to drive the ride without guests to ride on it." DR: I've heard some great stories about soaping the waterfall and such. What are your funniest memories of working on the ride? Did your crew ever play any pranks on each other or on guests? Tom: "You would think that we would have known the person's identity that put soap in the waterfall. We never found out who did this. We suspect someone in maintenance, not a customer. I guess the funniest part of working on the ride was playing the Abominable Snowman. Each of us tried to get through the day without being beaten with a tree limb or having a syringe of vodka injected into us by customers. People actually attempted these things. Playing the snowman became a SURVIVAL game. It was tough, but it was better than standing in the hot sun all day placing riders into the sleighs. We used to toy with the guests by asking them to hit the brake when the sleigh arrived into the station. Most people presumed they somehow missed the instructions on that part of the ride. It was sometimes a mad scramble by the guests to locate the brake' on the sleighs." Roy: "Soaping the waterfall was a ritual, usually done the last day of the summer or the last day of the year. The times I knew about it, it was always done by dumping the soap (Palmolive, the best stuff!) directly into the pump pit inside the mountain. The problem with soaping The Sleighs though was that since the waterfall was not an integral part of the ride, the supervisors would just have it turned off when it was discovered. The ride would operate just fine without it on. However, the best Sleigh soaping that I know of caused so many suds before it was turned off that the suds were starting to cover the low bridge, and the assistant operations manager called in the fact that something had been soaped because he was at the front gate and saw suds floating through the air. "Other pranks I can remember involved a new person on the crew. Someone had convinced him that there were fish in the sleigh lagoon. He was always looking for them, and even though he never saw them he even talked about bringing a fishing pole and fishing before opening. Well, another crew member and I went over to the Seal Pond in Children's World one morning. In the freezer behind the seal pond they had mackerel that they used for seal food. These were large fish, 18 inches to 2 feet long and frozen rock solid. We borrowed' one of these fish and took it back to the ride. The ride was not yet operating and we walked up onto the low bridge from the taxi track. When nobody was looking we tossed this fish into the lagoon and then walked back into the station. "About 5 or ten minutes later this fish came floating down the lagoon (since it was frozen it just floated on top of the water). Well this fish-obsessed crew member finally saw it and about had a heart attack, yelling at us that See, there are fish in the lagoon!' It was only when he noticed that it wasn't moving and fished it out of the water and noticed that it was frozen that he knew he'd been taken." "Soaping the ride was a terminating offense so it was not in your best interest to get caught with either evidence or worse yet, in the act. The best soaping job that I was ever a part of happened long before the park was opened for the day. A dear friend of mine and I had a desire to be the KINGS of soaping and thus, we devised a plan. "The problem with soaping was that once the fruits of your labor (suds) were visible, it was the crew's obligation to phone in to operations and let them know you had been soaped. This would prompt a call from Maintenance and from them, you could expect to hear that you should turn off the pumps right away. This was to prevent the pumps from cavitating due to air pockets being created within the pump itself. As a result, your optimum suds factor would fail to be reached. "Over the course of 3 weeks or so, my companion and I would sneak one large bottle of Palmolive into the park every few days. 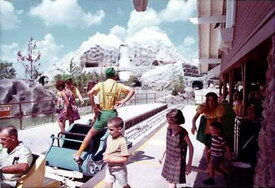 We would enter the mountain long before the park opened and hide the bottle above the track area. After we had amassed 8 or so very large bottles, we made a breakfast date. We met at the park about 5:30 in the morning. Back then there was no real security to question your early arrival and so, in you went. We turned on the waterfall pump and poured all of the soap into the lagoon. We discarded the bottles on the far north end of the inside of the mountain where they would never ever be found. Of course, that is to change once the mountain is dismantled, right? "We figured we could leave, eat a good breakfast at Denny's and be back at the park about 8:00 when we would normally be expected. This would give the soap about an hour and a half to churn up all it could before the mechanics would find the snow' and surely, shut down the pumps. "The desired effect was indeed achieved. There was a mountain of soap that filled the last dip and covered the trees like I had never dreamed. There were bubbles on rocks, track, sets, everywhere for a couple of hours that day. Of course, lots of talk went around about who had done it and in the name of keeping one's own job, we had to keep quiet but, silently, we patted ourselves on the back." DR: I understand ride breakdowns were common and that crewmembers would have to run along the track and into the mountain (I remember seeing that myself many times). What was that part of the job like? Tom: "When the ride would break down, we would have to push the sleighs out of the station. This would make room for all of the sleighs in the mountain. This was the extent of our action during a breakdown. The maintenance personnel would have to walk' the mountain to release each sleigh from the brake." 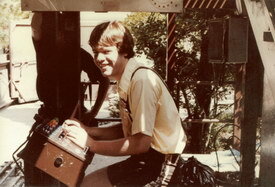 Roy: "When the ride operator noticed that we had a shutdown, (which was indicated by a light being off on the panel in the relay control system version of the ride, or by a buzzer going off in the computer controlled version) you'd immediately stop loading sets. If there were guests in the set on the load brake they would be unloaded. Unless the block with the stopped set was brake 12 (located at the exit of the mountain) you had to assume that there would be more incoming sets. So usually you'd start dispatching the unloaded sets with a ride operator riding on the back (we'd squat down on the back bumper). When you were out of the station, usually around towards the big rock you'd flip the switch on the back of the set to turn it off. You'd then run back to the station and get the next set. By doing this the station would be cleared out so that it could hold the occupied sets which would be coming out of the mountain. While this was going on a crew member would be sent to run the mountain' by the ride operator. When telling the person to run he'd tell them where the first stopped sleigh was. He could tell this from the light panel above the drive panel. This person would run along the track in the direction of travel. If he caught up to any moving sleighs in the powered section of track he would flip the switch to turn the set off. He'd tell the guests that all was okay, and to stay seated and that they'd be continuing their trip soon. He'd then continue running. Eventually, he'd reach the sets which were on brakes. Even though most of the brakes were in unpowered sections, we'd turn the switches off on these as well. It was easier to remember that they were just all turned off. Again he'd reassure the guests and then continue on. Finally he'd end up back in the station, where he'd report back to the ride operator (or supervisor, if they had arrived). He'd tell them what, if anything, he found unusual (like that two sets had collided, or whatever). Then the mechanics and/or electricians took over. They would determine what the problem was. If it was something which could be repaired in a few minutes we'd just leave all the guests in their sleighs. In this case we'd get as many crew members as we had to spare and would have them walk along the track from set to set to reassure everybody and to make sure everyone was staying put. 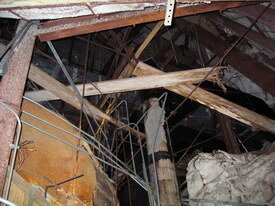 If it turned out that the repair was going to take awhile we would have to evacuate the guests on the ride. This wasn't too hard as there were all kinds of access tunnels to the track throughout the mountain. We could easily walk everyone out without them having to walk over any of the steep or highly banked sections of track. We would do this one set at a time, with at least two operators, one walking in front of the guests and one bringing up the rear. While the mountain was being evacuated, we'd also have an operator clear the station and queue house and then stand in front of the queue house to announce to guests that the ride was down. If the ride could be quickly repaired (or there was really nothing wrong, the ride simply shut down because two sleighs got too close together) then we'd leave the guests in the sets and we'd send them back one set at a time. This operation required two ride supervisors, because they had radios and we had to have communications between the station and the mountain (why they just didn't install intercom phones at all the brake locations I'll never know). Anyway, to do this we'd walk the track backwards, when we got to a stopped set we'd send it back to the station. If the set was on a brake this involved inserting the key into the key switch which cleared that block, releasing the brake. We'd then turn the sleigh switch back on, and give the set a push to get it going. The ride sup would then announce to the other supervisor in the station that he had sent a set. When the station supervisor radioed that the set had made it to the station we'd be ready to clear the next set in. Once all the sets had been cleared out of the mountain and all guests were cared of the ride we'd turn it over to maintenance to do whatever they needed. When they were done, we'd start things back up just like we did in the morning, including the full cascade stop safety check." Larry: "After your first shutdown, the whole process was pretty routine. The ride was pretty complex with regard to early processor' designs and thus, a shutdown was not uncommon at all. "All of the crew members had a job to do once the ride went down. The main control operator would direct each person [with a specific task] such as close the queue house, walk the track, walk the mountain, etc. Usually the guests would realize that something was wrong once their set either stopped being powered or if it failed to go beyond a brake. "I have to admit that I never had a shutdown that was eventful at all. Nor did I ever have a guest decide to leave the set on his or her own but rather all were pretty darn good about just sitting there until a member would arrive. As the crew member would pass the set, they would turn off the power to that set, advise the guests that it would be only a moment or two and then run to the next set. Each crew member would have 3 or so sets to visit and also to stay with until all was ready to resume movement." 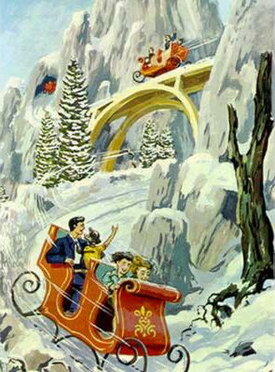 DR: The Alpine Sleigh Ride was my all-time favorite ride growing up. Do you ever find yourself comparing modern rides you experience today to The Sleighs? Tom: "The Sleigh Ride was more of a scenic train ride than a thrill ride. I am sure The Sleigh Ride would bore today's generation of thrill riders." Roy: "Sure. The Sleigh Ride was a great ride. It was unique; you were never going to see another one at a different theme park or traveling carnival. It was thrilling, but not so thrilling that the whole family could ride it. It was a multi-sensory experience. It had the thrills of a roller coaster; the sights of traveling through the gardens and mountain; the fun of getting a bit of splash from the waterfall when passing it; the fun of screaming your friends name, or some obscenity, or whatever in the echo tunnel; and then the effects of the blasting tunnel, the avalanche, the Alpies, and of course, the welcome cold of the Cold Room. "I'm certainly not the most experienced theme park junkie out there, so maybe there are better comparisons, but of the rides I know I think sleighs compares best with Big Thunder Mountain Railroad at the Disney parks. 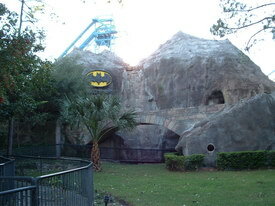 BTMM is a mild but family thrilling coaster, has great theming, lots of effects, and is just plain fun." Larry: "By all means, I will always compare the ride in one way or another to any �motion' ride from now on. The fact that the ride was technically so far ahead of its time is most likely the reason, but I am sure there are more. The ride was constructed in a time when simple movement was considered to be an enjoyment for any ride-goer. 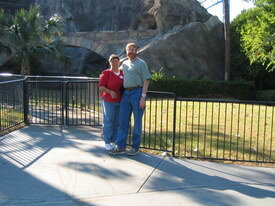 This ride included an elaborate scenic surrounding from the beginning to the end. The first time one rode The Alpine Sleighs, they had to be mesmerized by the mystery of The Mountain. The ride began slowly and in a quite relaxing manner. There were the joy of the cool splashes of the waterfall, dark tunnels, exciting twists and turns, sights and sounds of fast paced darkness and daylight, an unexpected elevated view, the magic of an echo tunnel, flashes of light, sounds of explosions, animation, snowfall and finally, a beast of a snowman waiting to bring about a last shriek. One more thing I vividly recall from my youth was how uninviting the entrance and exit of the final tunnel looked. All the rest of the tunnels were flat-faced and rather soft. The last tunnel had a more of a menacing look to it and it had an eerie tubular look to it. "To this day, I have yet to find so many elements to a ride using true brick and mortar. The use of electronics are fantastic but, there was and still is an appreciation for the ingenuity that went into the design, construction and operation of The Alpine Sleighs." DR: What exactly is an "Alpie"? Tom: "I do not know what an ALPIE' is." Roy: "A hunk of carved urethane foam covered with fiberglass? Not the answer you want, I imagine (carved with love by Marshall Jackson). I don't really know what the back story for the Alpies was, if indeed they even had one. They were obviously some dwarf/pixie/gnome-like people who lived and worked in the caves of Der Hofheinzberg. They mined jewels from the caves, fished in the rivers of the mountain, and listened to upbeat synthesized music every 25 seconds. They were obviously primitive in that they cooked over an open camp fire, wore untailored animal skins, and made crude cave paintings. Beyond that I don't know anything." Larry: "In the last part of the mountain, just before the Cold Room, there was some non-moving animation. This included some doll-like figures which resembled really bad cavemen. They were positioned to look as though they were mining a precious metal. When the ride closed for good due to high maintenance requirements, I was concerned for their well being. That's my story and I'm sticking to it you know. "I made a trip to the mountain and made off with the little guys. Back then, I guess one might say that Larry was not as honest as he should have been. I kept them just long enough to take a few photos and I guess for some bragging rights but, as time went by, was able to give each and every one of them away. I contacted those who I knew had a passion for the ride, told them that I had the Alpies and asked if they wanted one. You'll be happy to know that each one was given a proper home. One of them went to Roy's wife Romie. Oh, you could say I was indeed a thief but, I had a heart." DR: Why do you think Arrow never built another ride like The Sleighs? Tom: "Arrow probably burned the blueprints of The Sleigh Ride. There were so many flaws in the ride in the first two years. I'm surprised that Astroworld did not ask for their money back." Roy: "I know that they were willing to do so; the sleighs appeared in the Arrow ride catalog I got in the mid 70's (It was listed as the Aero Glide vehicle system). I imagine that it was the reliability and high maintenance issues which kept anyone from ordering another one. Also, I'll bet it was an expensive ride. 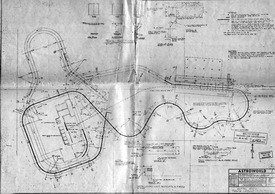 I'll bet the cast in place concrete track system with electrical bus system was more expensive to build than the tubular steel track of a typical mine train coaster, for example. Also, the sleighs themselves had to be fairly expensive: they had an electrical system, gearbox and drive system in addition to the guide wheels and axle system that an Arrow coaster would have. Also, this was not an off the shelf ride, any installation would have had to be a custom design." Larry: "I really don't know. The ride was complex but, by the mid 80's, that complexity was far outreached and a duplication of such would be a simple task to say the least. Disney's Matterhorn is close in it's basic design to that of the mountain at Astroworld but the use of non-powered sets requires a much higher design of a bobsled style coaster." DR: Why do you think The Alpine Sleigh Ride was the favorite of so many people over the years? Tom: "The Alpine Sleigh Ride was a favorite among many people. I think this was due to the fact that so many people here have never ridden in a sleigh during snowy mountainous conditions. The summer heat probably produced a euphoric state of mind about the sleigh ride for some people. However, standing in line for 2 hours 53 minutes would take the fun out of anything." Roy: "I think I answered this above. I'll add however, that I think it had appeal to families and youngsters in that it was thrilling, but not too much so. I know for example, that my mother liked The Sleighs, but the one time I got her on the Dexter Freebish Electric Roller Ride [Astroworld's steel roller coaster at the time] she was scared to death. I think it appealed to teens because of all the dark areas where they could "be alone", the seats were very small and forced you to sit close together, which probably also helped. Also, I don't think you can over-emphasize the allure of the cold of the ride on a sweltering hot Houston summer afternoon." The Six Flags parks had begun getting away from its family' appeal and had begun a slide to the interest of thrill seekers. This tends to create a trade-off from attracting the family guest and brings in the teenage elements. The idea was a simple one, in my opinion. A teenager will spend every last dime in his or her pocked before the day is through. It's a reason that so many manufacturers appeal to that age group in the first place. They have little or no responsibility at all and so their income is completely disposable. "On the other hand, the family element will spend money but, they tend to be much more conservative about what is spent versus the value of that item. Six Flags was going to try to go after all the marbles. "In answer to your question, Alpine Sleighs was indeed a family ride and it was one of the first rides I can recall that would remove you from the park altogether and place you in a whole different world if only for a moment." DR: How would you classify the ride? Was it a dark ride or a roller coaster or something else? Tom: "I would classify the ride as more of a scenic train ride that you would find in a tourist trap somewhere on vacation." Roy: "All of the above. I'd classify it as a crossover between a powered dark ride and a themed coaster like BTMRR or Disneyland's Matterhorn Bobsleds." Larry: "I would have said it was more of a roller coaster than anything else. Until recently, most of us would think of a roller coaster as having a lift chain and a down hill ride back to the station. This ride had a lift hill but it was electrically powered rather than chain driven. Like many Arrow coasters, this ride had more than just one lift. "The main difference in structure is that the power for the lift was stationary yet the lift device (the drive train located within each set) was mobile. Considering that the ride itself was designed to be a lift and drop style ride, I'd call it a coaster with character." DR: I've heard the Mountain was "haunted". Got any stories about that? 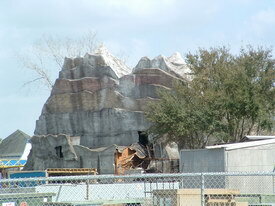 Tom: "There were no rumors or instances of the mountain being haunted during my two years of working on the ride." Roy: "No. I think that's a bunch of hogwash. The mountain was a big chunk of steel and concrete. There were lots of nooks and crannies in there and it was a favorite place to escape the crush of the park for some ride operators and maintenance people. I'm sure lots of these haunted storied are the result of people having tricks played on them by someone hiding up in the mountain. The mountain was also a very creepy place with the lights off, and I'm sure plenty of people have been scared by the dark and maze-like layout of the place. Also remember, that the echo tunnel effect was often running, even if the ride was not (since it's mechanism was located in the sound room in the middle of the park). If the ride wasn't running the mountain was a pretty quiet place, but the moaning sound which the wind would cause the echo tunnel to make could be heard through most of the mountain." Larry: "Well, I had always heard such stories and I did not do anything to dispel such rumors. Everyone likes a good spooky story and by nature, we try to either embellish them or, at the very least, we keep them going. I fell somewhere in between the two. "Besides the already established thief' within me, I also had a desire to pursue young ladies. The stories of �ghosts' and such only lent itself to be manipulated into creating a close' situation. While turning off the mountain at night, you could take a newcomer to the ride with you to show her how it is done, share a story or two along the way and then pretend to see something out of the corner of your eye. Stick close to me and I won't let anything happen to you.' I guess it was a convincing bunch of bull at the time because I couldn't stop using that one. No, not one instance of spookage' ever happened to me but, there was plenty of deception." DR: To the best of your memory, would you describe what a ride through the mountain was like during the time you worked The Sleighs? 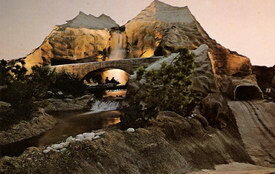 What would a park guest experience as he rode through the mysterious "Der Hofheinzberg"? Tom: "Most people that live in a flat geographic area are usually fascinated with mountains. The Sleigh Ride provided a wonderful ride through beautiful scenery in a mountainous setting. The anticipation of what was to come as your sleigh passed the waterfall was very exciting. I think that ride was just enough of a blend of scenery and action dips such as the strobe tunnel. I'm sure that the avalanche scene camera would have enhanced the ride if someone could have figured out how to keep it from burning up. The artificial snow machine also needed some work. We did manage to ride the sleighs many times before and after hours. I think back about how we rode the sleighs standing on the back bumper. Something must have been wrong with us. That is something I would never consider today. "The Sleigh Ride was a classic. I am very proud to have worked with the original crew in the opening year of Astroworld. What a great bunch of people. I wonder where they are today." Larry: "As the set left the station, it made an immediate right hand U' turn. Right away, the trees and evergreens grew taller than eye level of those riders in the set and you were quickly transformed into a wonder world far from the park itself. The theme music was played directly to the direction of the sets and it was at just the right audible level to be heard pretty much just from the set. The noise of the station and the crowd quickly went away. "The track wound around large rock structures and tall pine trees as it slowly approached the low bridge. This bridge was placed so close to the base of the waterfall that you got some overspray but mostly a great deal of white noise. It was almost a way to prepare you for the silence of being completely away from the park. "The first tunnel had a few flood lights that were colored yellow, blue or red. This created an eye distorting effect especially at night. "As the set left this tunnel, you were on the back side of the mountain where the walls of the track were tall enough to block your sight from anything that was not a part of this ride. Very well constructed as in later years, other rides grew much larger than had been expected at the time of it's design but, still the walls would block almost all view. "This was the first non powered part of the track and the set would drop a few feet but, it created the illusion of a much faster and much further drop. "As the set made a 90 degree turn to the left, it was once again powered and began its climb to the echo tunnel. This was where a guest would shout out something and the audio was recorded for later playback. The set would cross the high bridge and begin its second descent to the tunnel on the other side of the high bridge. Again, the noise of the waterfall would take over and the �surprise' of being so high would be pleasing to the eye. "The next tunnel was echo return and there you would hear the playback of your comments recorded earlier. Most guests liked this effect, when it worked. "After that, the set began a fast paced descent around a U' turn and into the final tunnel of the ride. The set would slow just a bit before the plunge into darkness. The sounds of this turn are really wedged in my mind. You could hear the stress being put on the set, the wheels and tires as they gripped the track and the brake that would hiss its way open just before the set entered the darkness. "The set would drop another 8 or so feet as it began a slow tilt to the left. The track eventually became about 40 degrees off of center and hit a very tight 90 degree turn to the left. This is where the avalanche video used to be projected. I never worked there when the video was in operation and I truly wish I had. That would have been pretty cool. "Entering the Alpie room, your set was beginning an ascent and so the ride would slow way down. This created a sense of relief as the music was a twinkling style and all these little guys were just busy doing what ever it was that they were doing and almost pleased to see you arrive. It created a sense of calm. "The remainder of the ride was a fascinating one but, none of it worked when I was there. The exit to the Alpie room brought on cold air conditioned air and a turn to the outside. A fast plunge to below grade elevation and back up into the station. I'm sorry that the snow room and the abominable snowman were not a part of my memory as a member of the crew of The Alpine Sleighs." After the 1983 season The Alpine Sleighs closed forever. 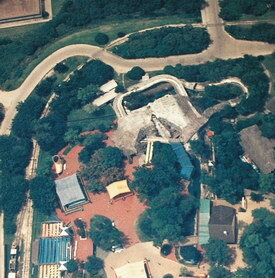 In 1984 the face of Astroworld changed drastically. 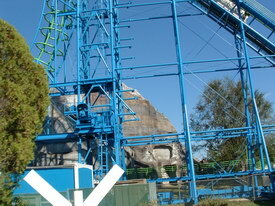 The park added the Arrow suspended coaster XLR8 on the site of the former children's area. All the children's rides were relocated to the European Village area occupying the land on which the Le Taxi ride stood. 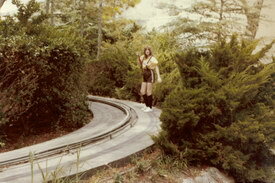 The Taxis were moved to the Spin Out race car track next to the Texas Cyclone wooden coaster, and saddest of all, The Alpine Sleigh Ride was converted into a children's walk-through funhouse called Discovery Mountain. The outdoor sections of track could still be seen behind the mountain. And the high bridge now had a rope climb up to it and slides back down to the ground. The park attempted to make the funhouse fun but real fans of the Sleighs were not amused. I literally cried the day we went to the park and we realized the Sleighs were gone. 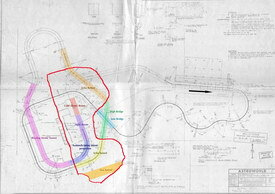 In 1990 the Togo Ultra Twister heart line coaster opened behind the mountain next to the railroad tracks. Both outdoor Sleighs track sections were removed to make room for Ultra Twister's station building, load area, and lift hill. 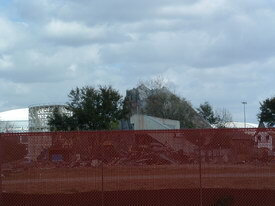 Over the years Astroworld operated a few other attractions with "dark ride"-like elements. The River of No Return jungle boat ride carried guests past crumbling ruins, elephants and even King Kong. 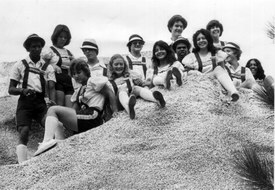 A children's nursery rhyme-themed boat ride called Rub-a-Dub ran for several years in the Children's World section of the park. 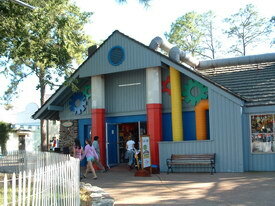 And the park had a great haunted-themed tilt house known as Wacky Shack. But loved most of all was The Alpine Sleigh Ride. It was my very favorite ride of all time. It was the ride that sparked my interest in amusement park rides, especially dark rides. On Sunday October 30, 2005 Six Flags Astroworld closed its gates for the last time. I was honored to have been in the last group of guests to leave the park because I had won an ACE drawing and got to be on the very last public ride of the Texas Cyclone wooden roller coaster. It was so incredibly surreal leaving the park that last time. We looked back at the empty park as we walked across the bridge to the parking lot and all those wonderful childhood memories flooded my mind. 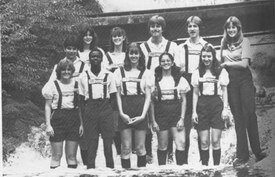 Years earlier on the last operating day of the 1983 season Astroworld ran The Alpine Sleighs for the last time. That ride filled my memory that final night. I miss the ride dearly and I will miss the park that I grew up visiting every summer. My wife Roxanne for her proofreading and editing...and for sharing the computer with me for many hours. Dan McIntire for the wonderful concept art poster by artist and Imagineer Harper Goff. And especially the great folks at the wonderful Astroworld fan website sixflagshouston.com: Jason McMillon, Christopher Daniello, Jason Knutson, and Mike Robinson for ride background information and wonderful photographs.